Hi Guys! How are you all? I hope you are doing well.. I love eye makeup and the drama going on there like everyone else, however you cannot always go with the same colors or finish in eye-makeup. Sometimes you do soft and subtle makeup, or full glam, or very vibrant or even smoky but there’s one thing without which every eye makeup look is incomplete. It has to be an eyeliner that has to be the show-stopper always. No matter how beautifully you do your makeup, if you don’t have eyeliner on, it still looks incomplete. Even eyelashes look really beautiful and instantly add a lot of effort to the entire makeup look but you can still skip it sometimes. If I were to go to a lonely island but was just allowed five things, I would carry Aloe Vera Gel, an eyeliner, a lipstick, some biscuits and my phone 😀 By the way, do let me know what five things would you carry on a lonely island? 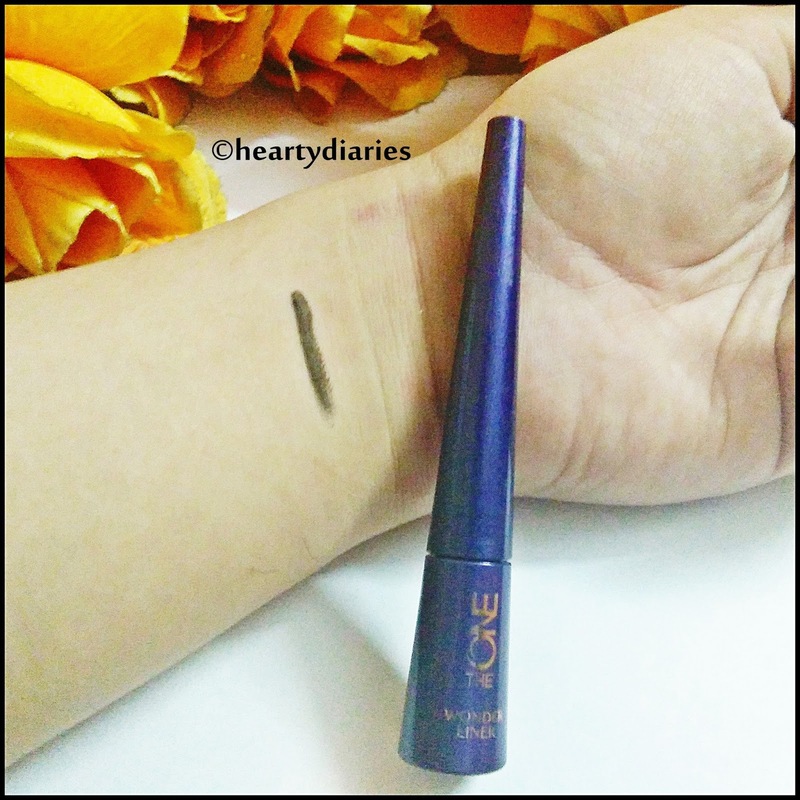 To amp up the eye makeup, its really important to choose the perfect eyeliner and apply it precisely but the real struggle comes when you buy a really expensive and promising product and all you’re left with is disappointment. 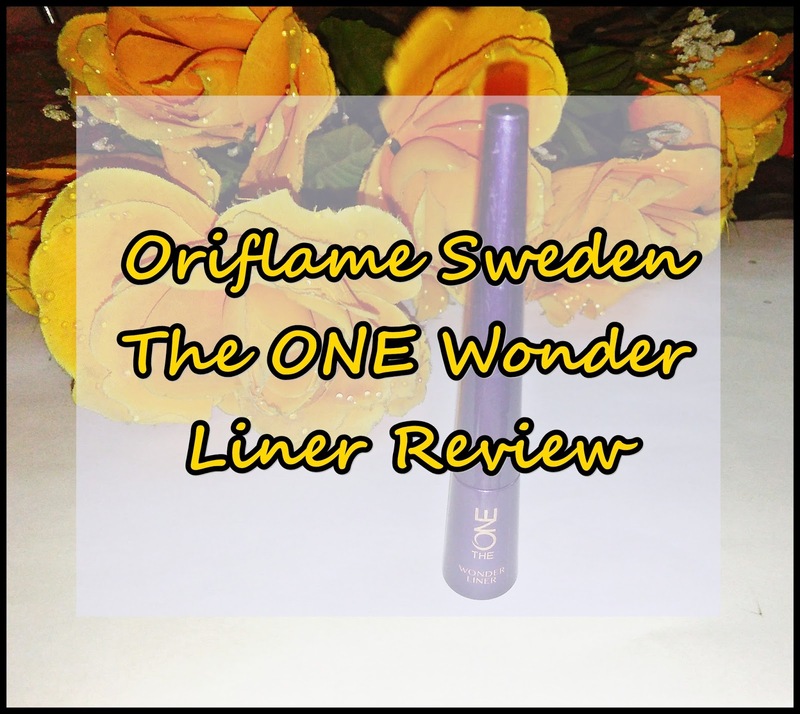 So, today I am sharing my review about yet another purchase of my Oriflame haul, the Wonder Liner by Oriflame’s brand “The ONE”. 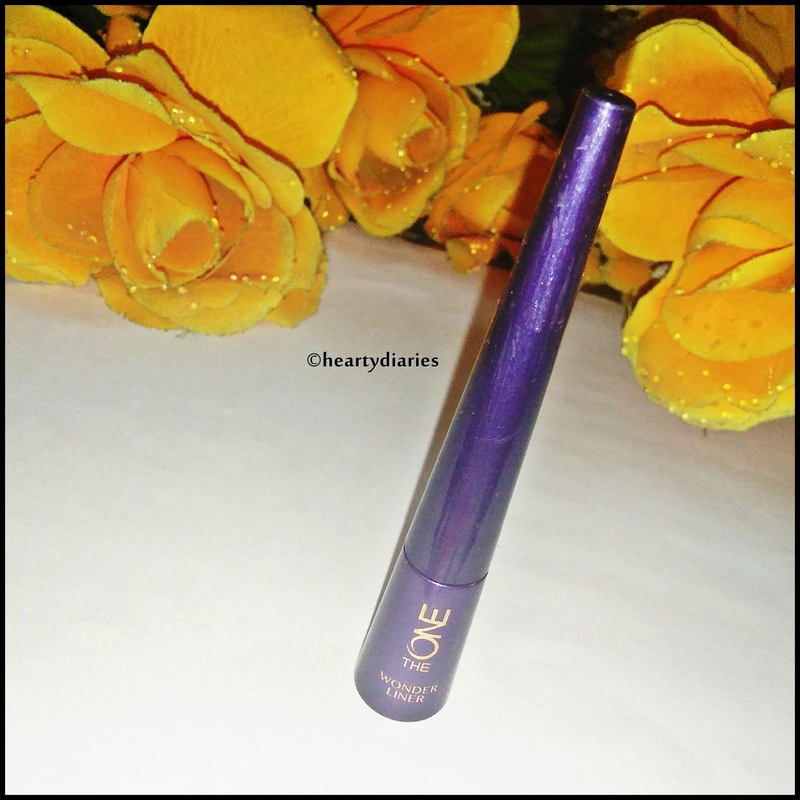 I hope my review helps you decide whether you want to spend your precious money on this eyeliner or would want to skip it.. Without blabbering much, let me just dive into the review zone! Product Description: Unfortunately, there is no description about this product on the official website. Cost: Rs. 549 for 2.5 ml or 0.08 fl. oz. 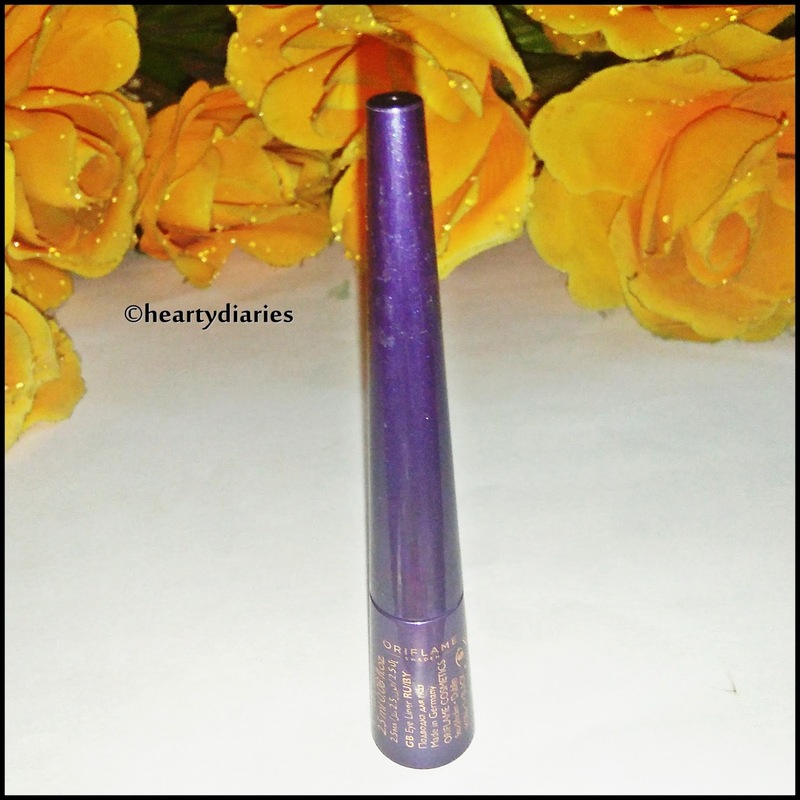 Packaging: This eyeliner comes in a plastic, purple colored, very slim & tapered body, narrow at the top and flat at the bottom. The product name and few details are etched onto the body with golden color. 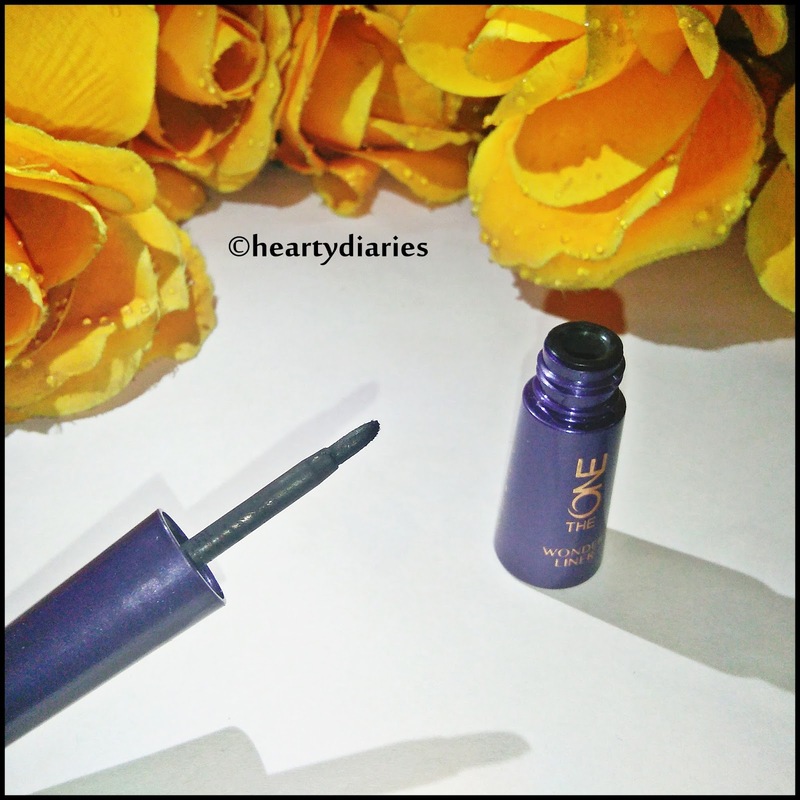 The screw cap of the eyeliner is very slim and long which makes it easy to use. The overall packaging looks classy, chic, is very light weight, sturdy, leak proof and travel friendly. 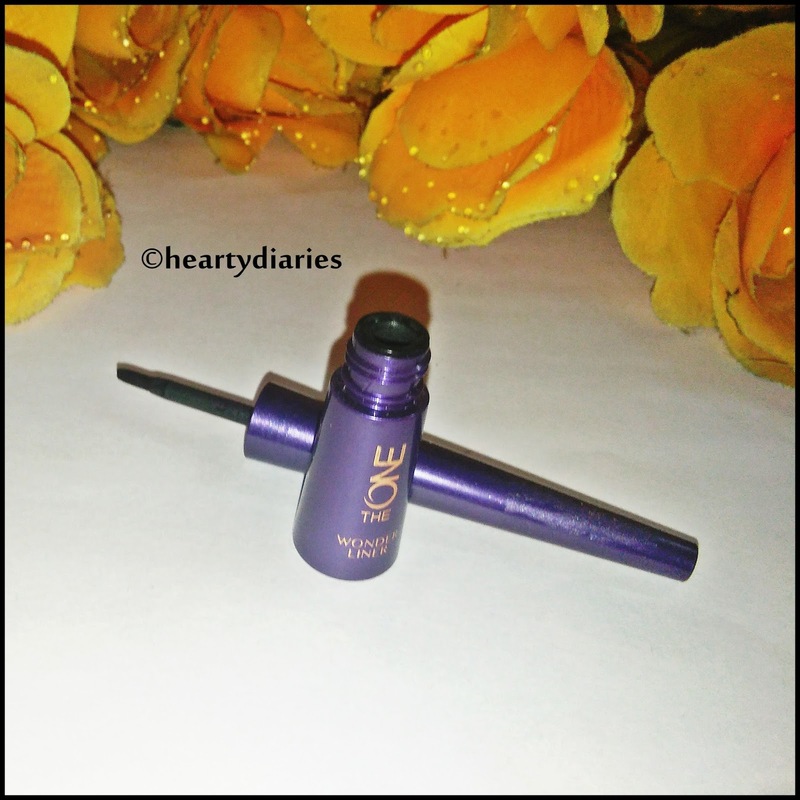 Texture and Consistency: The eyeliner has a liquid-like texture and a thick consistency. My Experience: I was happy with my purchase and I literally lay flat at its chic packaging. My expectations were really good when this liner arrived but they literally went from thousands to tens when I saw that the tip of this liner is really thick and made up of felt which I had no idea about. If I had known about the tip of this liner, I would’ve never spent Rs. 549 on it. You can not even think of drawing a wing eyeliner with this product. 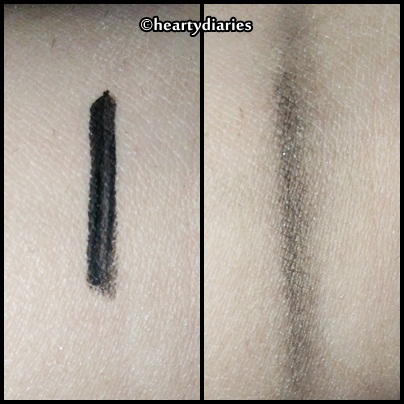 Coming to the actual performance of this liner, its just an average one.The liner applies finely and gives a jet black, matte finish in one go and dries quickly. It smells ridiculous but I like the fact that it is smudge proof, doesn’t fade away or peel off. However, you cannot experiment any eyeliner look with product because of the felt tip. I found no wow-factor in it and its almost worthless according to me. I felt like a huge stab on my pocket after using it because I hope you know how it feels when you spend your money on a product which cannot stand even a few percent to your expectations. The quantity offered is really less and the application is also not extremely smooth. Coming to it being waterproof, I’d say that it is not completely resistant to water. I tried to put on some drop of water and found that it didn’t fade away but it got softened up due to it and started to fade and smudge a minute later, horribly. No. 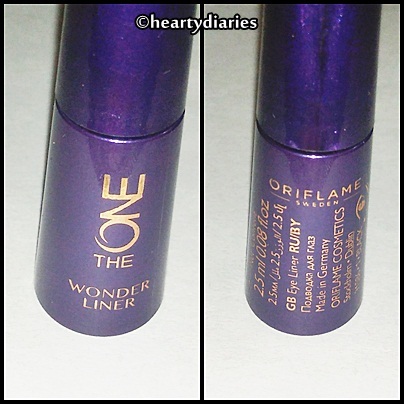 I haven’t had a really good experience with this liner and my expectations haven’t been fulfilled, so I’ll not repurchase it. No. If you like thick tips of your eyeliner, then go for it otherwise I wouldn’t recommend it. No. It does a very basic job, offers such little quantity and is not worth the price according to me. Final Verdict: This eyeliner is pricey, doesn’t meet my expectations and has no wow factor in it. Overall, I regret buying it.I hope my review was helpful to you.. Extremely disappointed with this product..its pricey ? It's a bit pricey plus fat felt :/ Thanks for sharing your review. This is a skip for me. Yes, unfortunately.. Its my pleasure. Thank you for stopping by this blog!! Hahaha! Do.u have oily eyelids??? Yeah.. Thanks for stopping by Alifya!